Global Trade Review - Winner, "Best Deals of 2016"
Mark's practice covers cross border syndicated lending, structured export credit finance, structured trade and commodity finance, debt restructurings, acquisition finance and asset finance. Mark is recognized in The Legal 500 UK as "excelling" in structured export credit transactions (2018) and is praised for his "commercial and user-friendly approach" (2017). 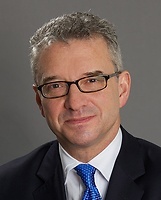 Mark also advises on regulatory, modern slavery, bribery and corruption issues in connection with trade and export finance. Mark led Sullivan & Worcester’s response to the UK Government's consultation on UK Export Finance (UKEF)'s anti-bribery and corruption policy. Many of Mark’s recommendations were specifically accepted by the UK Government. He has advised financial institutions, funds, corporate borrowers, agents and trustees, and national and supranational sovereign/quasi-sovereign organisations on award-winning finance transactions throughout Africa, Western, Central and Eastern Europe, Russia and the CIS and the Middle East. Mark has lived and practised in the Czech Republic (Prague), England (London), Germany (Düsseldorf and Frankfurt) and Russia (Moscow). Mark holds graduate and post-graduate degrees with honors from the London School of Economics.